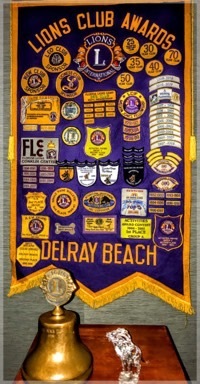 The Delray Beach Lions Club was chartered on February 7, 1939. Over the years our members have involved themselves in various community service activities and fundraising to help support our projects. These efforts by Lions and their spouses, children, and friends have made it possible for us to increase both the number of people and charities we support and also the size of the donations. 100% of all donations made to Lions Clubs go towards program services.